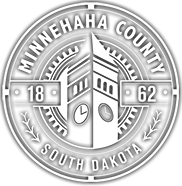 Minnehaha County recognizes that the quality of our services is directly dependent upon the dedication and competence of our more than 550 full-time and 60 part-time employees. 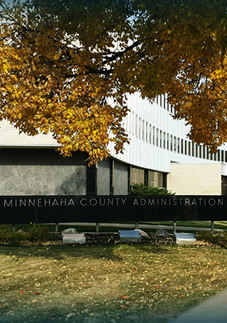 Minnehaha County strives to employ knowledgeable, customer service oriented, and professional staff who provide exceptional service to our tax-payers, residents, and community members. To fulfill the varied service responsibilities of the County, the Human Resources Office offers comprehensive recruitment and employment services designed to attract and retain the valued people who continue to serve our growing community. Recruitment practices that ensure fair, non-discriminatory processes to attract well-qualified candidates. A total compensation package for employees including wages and benefits that is responsive to the needs of our diverse workforce while reflecting the values of the community. Job evaluation and a classification system that is justifiable and balances the importance of internal equity and external market practices. Administration of employee benefits including the group health and dental plan, a defined benefit retirement plan through the South Dakota Retirement System (SDRS), a deferred compensation plan, a flexible spending plan, paid time off programs, a variety of wellness programming, employee assistance services, and the workers’ compensation plan. Supportive and consultative services to the County Commission, department heads, and employees on a variety of human resources and employment law related items including affirmative action, equal employment opportunity, records management, personnel budget management, contract, policy, and regulation compliance, and guidance and assistance with employee development and training.